Construction has begun on Circus Street, a £130million innovation quarter on the site of the old municipal market in Brighton. Architects shedkm in collaboration with developers U+I have created an ambitious new masterplan development with a strong sense of place, distinct yet in tune with the unique city of Brighton and its people. shedkm’s masterplan is conceived as a rich composition of distinctive buildings and public spaces woven together to create a new destination. The design draws on the ‘patchwork’ of building styles within the Brighton cityscape and reinterprets them as part of a progressive and sustainable new quarter. The result is an exemplar urban design for mixed-use development. 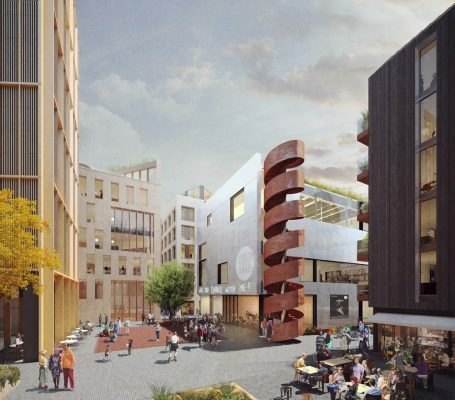 Situated on Circus Street at the edge of Brighton’s academic district, the ambitious new 0.73ha mixed-use project is a redevelopment of a derelict municipal fruit and vegetable market. 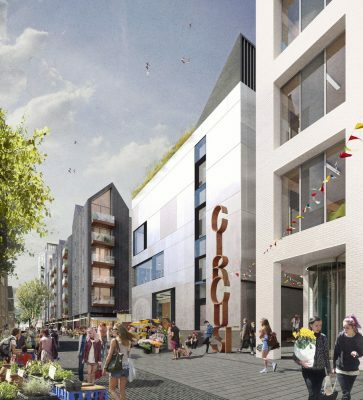 Led by regeneration specialist U+I, in partnership with Brighton and Hove City Council and South East Dance, the plans for Circus Street include 142 new homes, 450 student bedrooms, 30,000 square foot of business and start-up space, and a world-class international Dance Space. 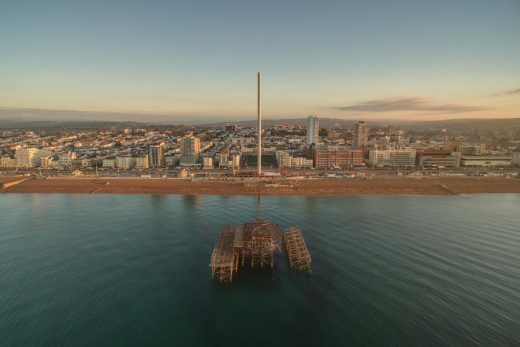 Helen Misselbrook, Design Guardian and Consultant Architect, shedkm says: “Circus Street will be a beautiful and inspiring place that keys into the creative life-blood of Brighton. We can now make tangible our design and realise our vision. 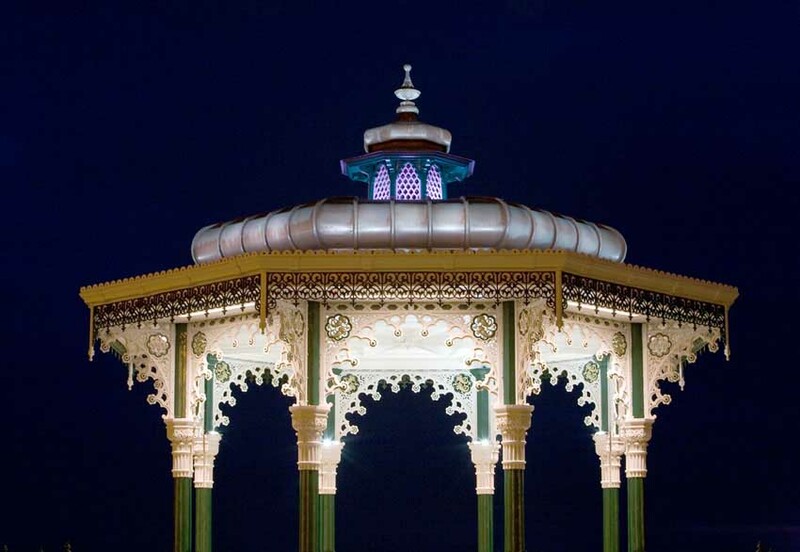 A place for Brighton. A place to live, learn, dance, nurture and grow”. Circus Street will be urban rather than suburban in scale while avoiding a ‘mega-block’ approach to massing. 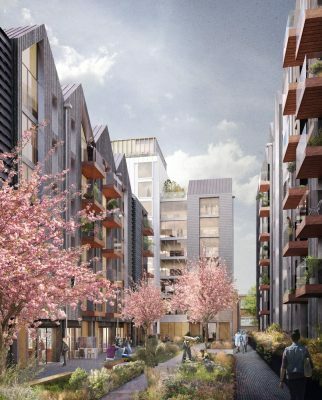 Instead, most of the individual buildings will rise to between 6-8 storeys in height with the exception of a small number of taller ‘marker’ buildings up to 13 storeys in height. Pedestrian routes through the site will refer back to historic street patterns prior to the development of the market. These will provide permeability and help break down the impact of the dense new development. Residential properties will be located to the north-west of the site fronting Circus Street and Morley Street with student accommodation along the eastern boundary. Two tall buildings are conceived as ‘legibility landmarks’ for the new quarter – a ten storey residential building on the north-west corner of the site and a thirteen storey student residential building on the eastern boundary. The new office building is viewed from Valley Gardens on the south-west corner of the site. South East Dance’s new Dance Space, the jewel of the masterplan, is located between the office and residential townhouses on Circus Street and activates the new Circus Square public space at the heart of the scheme. Circus Square is a large events space, sited alongside other landscaped areas, working gardens and orchards and along Carlton Row, designed by JLG landscape architects. Quality retail units, restaurants and workshops are located at ground floor level throughout the development to activate the public realm and support a sense of community. shedkm has conceived a robust but sensitive material palette that references the tones and hues of neighbouring buildings to ensure that Circus Street will harmonise with its urban context. This includes the use of black cladding (townhouses), white brick (offices), red brick (student accommodation) and galvanised metal cladding (The Dance Space). The palette in its entirety can be viewed from Circus Square events space. 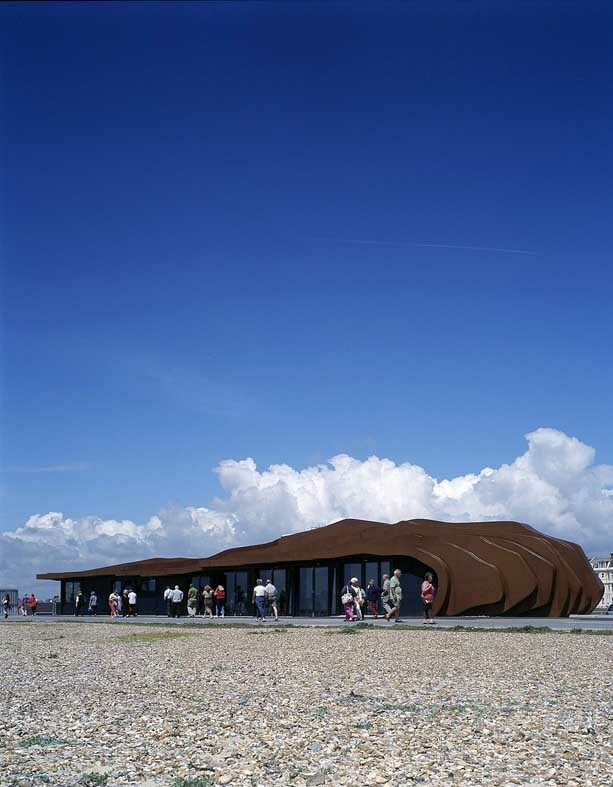 shedkm won a competition for the project in 2012 and successfully obtained planning permission in September 2014. Construction is expected to complete in Spring 2020.